A brand new series based on the #1 selling Gears of War 2 video game. 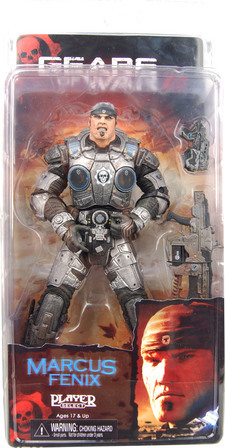 This series includes a new version of Marcus Fenix featuring a new head sculpt, additional elbow articulation, snub pistol, an improved Lancer and the ability to peg an extra weapon to the figure’s back. 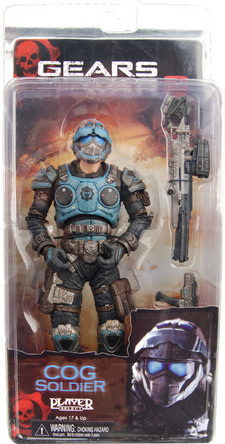 The COG Soldier sports a brand new helmet, additional elbow articulation, Longshot and Lancer weapons and the ability to peg an extra weapon to the figure’s back. The Theron Palace Guard is a new figure that protects the Queen’s palace. He is incredibly detailed and comes with the deadly Torquebow weapon. Two new versions of the Locust Drones round out the set including the Locust Cyclops with articulated mask and the Locust Grappler. 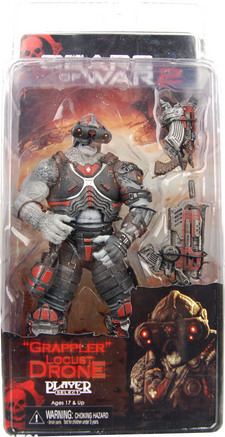 Both Locusts come with all new weapons including the Gorgon pistol, the Hammerburst 2.0, and a Grenade. The Locusts also now have the ability to peg an extra weapon to the figure’s back. 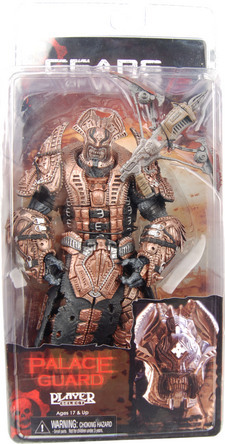 Figures are 7” scale and highly detailed with game-accurate weapons and accessories. 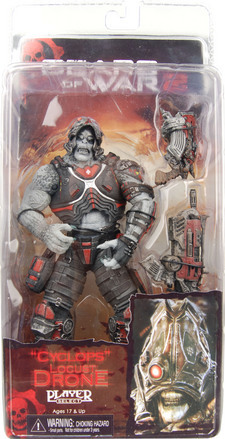 *Also be on the lookout for a special CHASE version of Marcus, with a Gold Lancer!